Citadel were slow to get on to the Undead bone wagon, only releasing a single skeleton infantry figure until January 1982 when the FTS range became available. 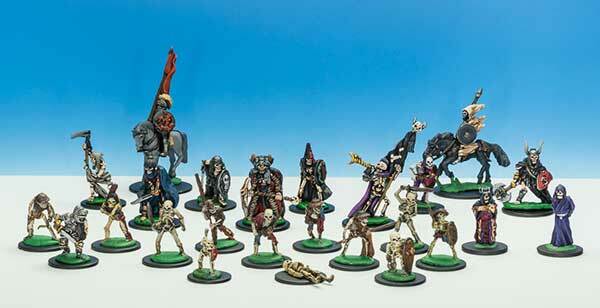 They released a spate of skeletons in 1984 with 34 in the C17 range in July, August and September. As with many ranges there is confusion between the UK and the US coding used once the UK had converted to the C ranges.